The well-preserved wreck of a World War One German submarine, possibly still containing the bodies of 23 crew members, has been found off the Belgian coast, Belgian broadcaster VRT said Tuesday. It was not yet clear which of the 11 known German submarine wrecks, often referred to as U-Boats, had been found, and authorities said they would not give the exact location of the wreck to deter looters. "This is totally unique," governor of West Flanders Carl Decaluwe said. The governor said that the German navy had three large submarine bases with 10,000 men in Belgium during the war. Those crews sank more than 2,500 ships off the coast during the war, which lasted from from 1914 to 1918. 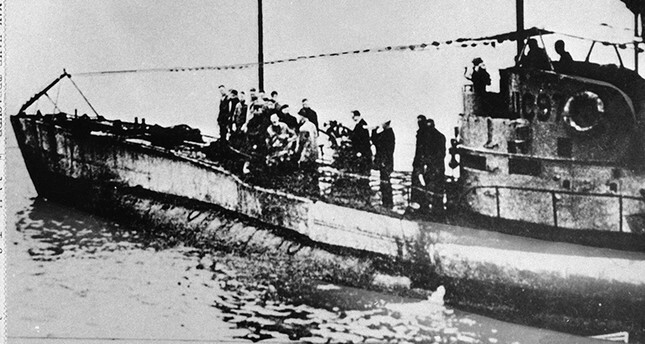 It appears that the submarine sank after it hit an underwater mine, which had been laid to thwart German war efforts. The exact location of the wreck has not been publicly disclosed, in order to protect the find.